Why is options trading difficult? Most traders believe there are unlimited gains in options trading while losses are limited. But many traders lose money not being able to understand how options work. Bewildered by greed, traders keep buying options with the approach that they are similar to investments, and keep on averaging with the hope that it will turn into profits, but 9 out of 10 times it doesn’t. Traders forget that options have finite life and the value falls to zero as it approaches expiry. 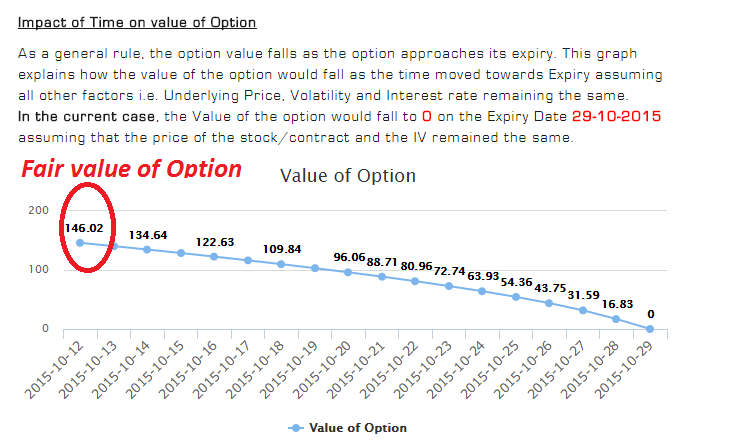 What is Options fair value calculator and simulator? SAMCO’s Options fair value calculator and simulator arrives at a fair value of the option which can be then compared with the live market prices to understand whether the options are overvalued or undervalued. In addition, it also helps traders in online options trading to understand the effect of time, volatility and change in underlying prices which causes rapid decay in the value of options. 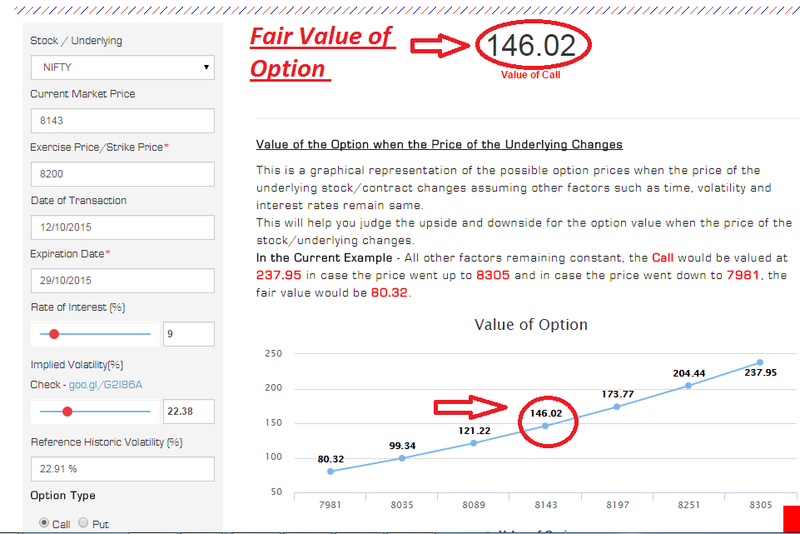 Samco options fair value calculator is one of the kind unique tool that can be used by the trader to predict the impact of volatility, impact of time decay and impact of change in underlying prices of the security. It simulates different permutations and combinations of various scenarios in a graphical format for immediate understanding. The calculator will arrive at a fair value of the option which will act as a benchmark for comparison with the live market prices. The value may differ, for example if the fair value of a call option as per the calculator is Rs.145 and if it is available at Rs. 135 that means it is undervalued and can rise to its fair value, other things remaining the same. This is available for display on the top of the calculator as shown in Figure 1. This can be extremely useful to an Intraday options trader since it can help predict the price of the option as the underlying moves. For Eg. If the NIFTY is trading at 8143 and you expect the market to go up by 50 points to 8195 levels, you can see from the graph that the price of the 8200 Call will move from Rs. 146 to Rs. 173 – all other factors remaining the same. 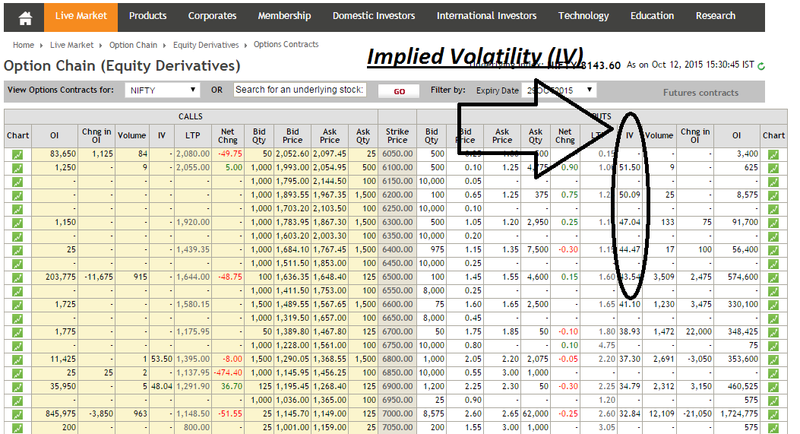 This can be used intelligently for intraday options trading to determine entry and exit prices of trades. h) call or put has to be selected so that the calculator computes the fair value of the option. Figure 1 also shows various scenarios when value of underlying changes favorably or unfavorably. This diagram pictorially displays the rise and fall in value of options, incase underlying price moves in favor or against.Figure 3 shows how time decay will destroy the value of the option over the life of it’s contract. 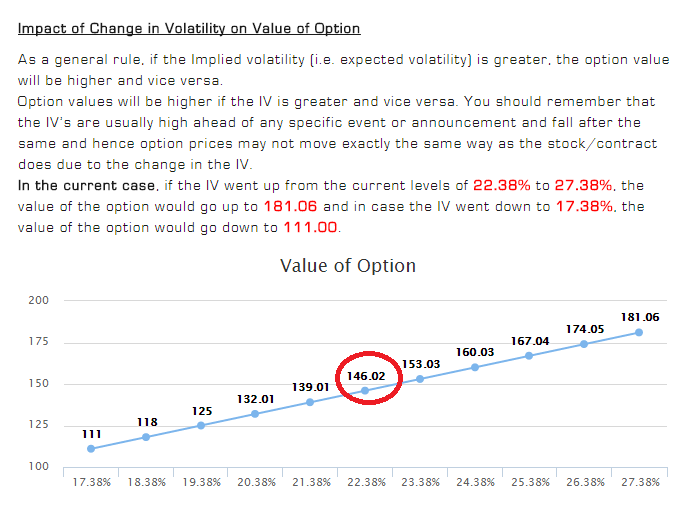 Figure 4 shows how the value of option will increase with increase in volatility and decrease with decrease in volatility. Figure 5 shows with increase in interest rates the value of options increases and with decrease in rates the value decreases. Just like any other rational decision making process where in various scenarios are created, positives and negatives are discussed before decision is arrived at, why can’t such rational decision making process can be followed for options trading? 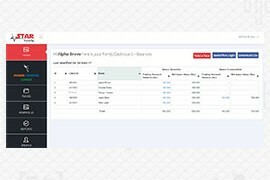 We believe our options calculator will give first hand insights into how options behave and how profitably it can be traded day in and day out with full and proper understanding of profits and losses. Options can be a very profitable and safe way of making money provided one is fully aware of various scenarios and elements that impact option prices. We believe Samco’s options fair value calculator and simulator will be one such powerful tool in your trading arsenal to trade options profitably. 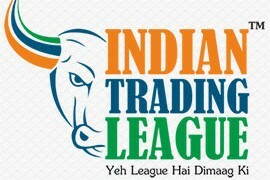 Welcome to the world SMART Trading. PS – You can also check the video tutorial on how to use the Options Fair Value Calculator and Simulator.